There are just 14 games to go right now and the Premier League is entering into a vital month of February, where a lot will be decided. Every team will be looking at their goalscorers to make a defining contribution and every goalscorer will be looking at the competition around. Hello and Welcome Back to our assessment of the top contenders for the Premier League Golden Boot at the start of February. The month of January saw a lot of actions on the football field and much has happened in the Premier League in that time. Ole Gunnar Solskjaer has continued his brilliant start to life as a caretaker manager at Old Trafford, even though the winning streak has ended. Chelsea is slipping, as the race to finish within the Champions League spots has opened up. Manchester City is losing ground on the top of the table. But the biggest news is that Liverpool is no longer beaten, as Pep had managed to outdo Klopp in the new year. The race to the Premier League Golden Boot has intensified and 6 players in this list have scored the same number of goals! They could be separated only by goals per game and goals per minutes played. The top three, however, has seen a significant change and the three players are separated only by a goal each. 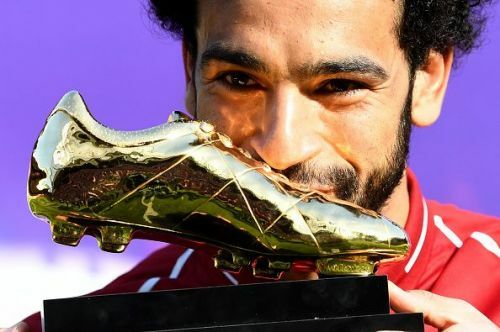 Read on to find out the top 10 contenders for the Premier League Golden Boot at the start of February 2019. After missing out from the race at the start of January, the Englishman makes a return to this list, by virtue of the brace he scored at the end of the month. Murray had scored just one goal in the month of December, against Crystal Palace at the start of the month. His drought in front of goal continued into the new year, as he failed to find the back of the net in the 2-2 draw away to West Ham. He subsequently failed to score in the narrow defeats to Liverpool and Manchester United. However, the Englishman finally regained his scoring boots at the end of the month, away to Fulham. Murray scored as early as the third minute and then doubled the lead in the 17th minute. However, his team failed to hold on to the advantage and lost the game 2-4! 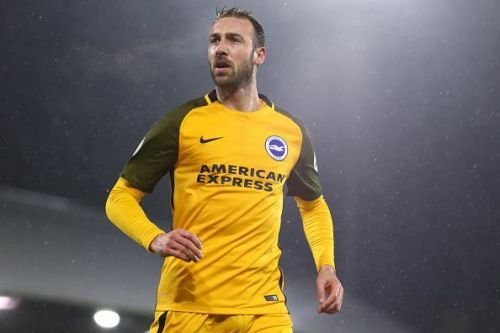 With 10 goals from 24 games, Glenn Murray is 10th in the race to the Premier League Golden Boot at the start of February. He is currently averaging a goal every 153 minutes played.